Cesar has been dancing for over 35 years. He recently celebrated 34 years of vogue dance experience. 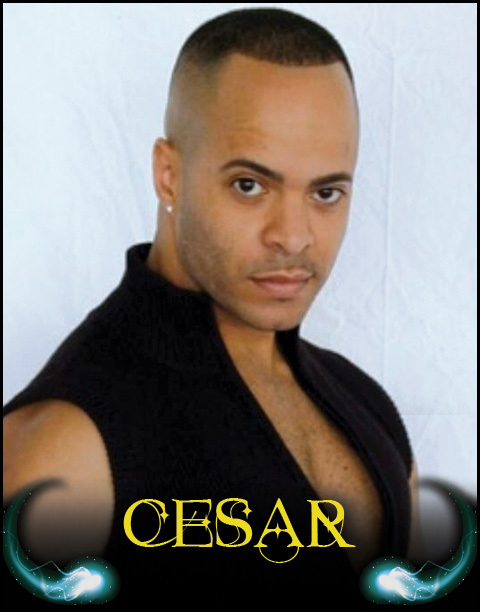 Cesar has training in many dance disciplines such as modern, jazz, street jazz, Latin Jazz, Afro Caribbean, hustle and salsa. Cesar was a figure skater for many years and when he discovered vogue dance for the first time, he created his own signature style of vogue pop dip and spin with grace and precision, combining traditional military style hieroglyphics with acrobats and spins. In 1988, he walked his first ball in Harlem’s Elks lodge where he won and quickly became a fixture in the ballroom scene winning many trophies. Cesar has appeared in music videos with Toni Braxton, Carmen Electra and K7, as well as in the documentaries The House of Tres, Voguing the Message and Paris is Burning. In 1989 he was selected to tour with Malcolm Mclaren on the Deep in Vogue tour. Cesar has taught vogue workshops and judged dance competitions in Brazil, Dominican Republic and Berlin to name a few. He has been coaching models on runway modeling and posing techniques since the late 1980s. Cesar recently appeared in an international fashion campaign in London for Simply Be UK and most recently appears in the Netflix movie The Get Down. Cesar taught vogue at Broadway Dance Center and has been a faculty member at Peridance for five years. He is currently a faculty member of The Alvin Ailey Extension where he teaches the first ever official vogue class in Alvin Ailey’s history.